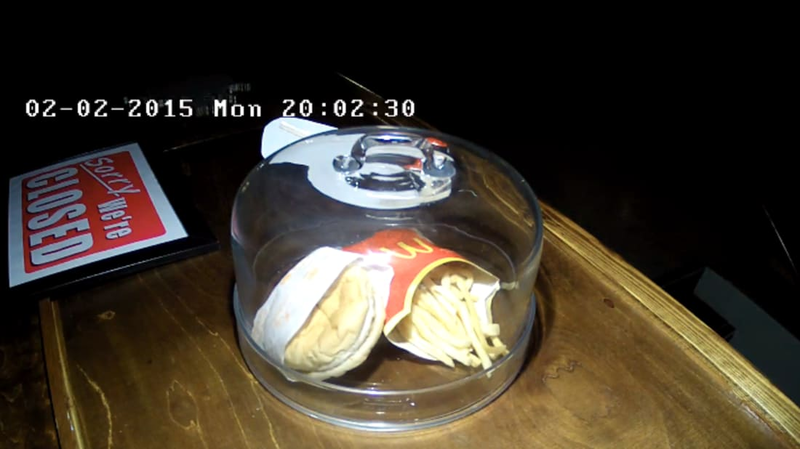 Visitors to a Reykjavik hostel will get to see a very unusual display: A burger and fries, purchased just a day before the last McDonald's in the country closed its doors on Halloween 2009. The meal was purchased by Hjortur Smarason, who had heard rumors that the fast food would never decompose, bought the meal, and put it on a shelf in his garage, where he left it for three years. In 2012, Smarason handed the science experiment over to the National Museum of Iceland. The establishment put it on display—until recently, when they decided they could no longer preserve the food (or realized they were displaying rotten food in a museum). Smarason then brought the artifact to his friend's establishment, Bus Hostel, where the food is now proudly on display for all the guests to see. The burger and fries apparently haven't changed much in their 6 years in the world; viewers say they look almost new. Some people have even stolen some fries. If you don't think seeing the spectacle is worth the trip to Iceland, don't worry: You can see the decaying food in all its disgusting glory via the hostel's livestream.